The University of Greenwich’s First World War casualties are being investigated in a new online project, with members of the public being urged to contribute. 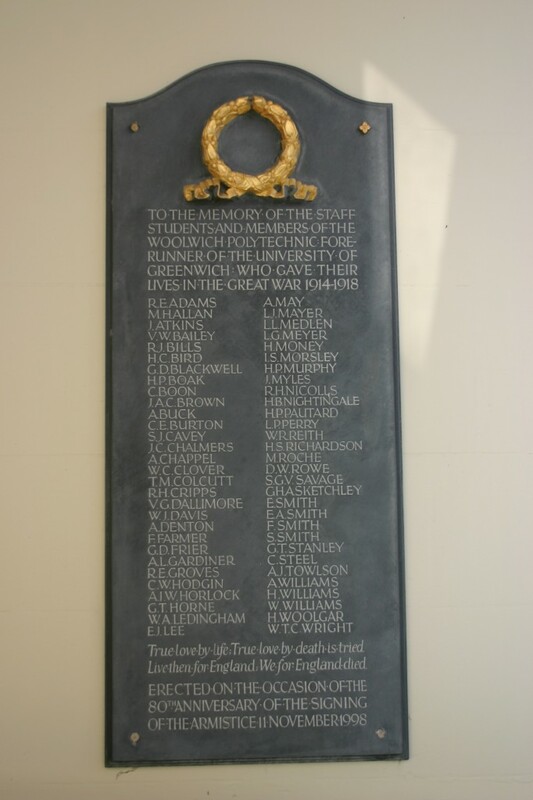 Fifty-five staff and students died in the famous conflict, almost all of whom were local to the Borough of Greenwich. University Archivist Will Robley is now unveiling archive secrets about them, and how the university dealt with the impact of war. His ongoing research is available online at http://blogs.gre.ac.uk/universityarchive/, with previously unseen records available. The archive includes copies of the Woolwich Polytechnic Magazine, created to remember those who were killed and stay in touch with those fighting. The latter’s letters to the magazine from the trenches include some surprises, as one soldier boasts about the mahogany furniture in his dug-out, while another reports an officer complaining that his trench contains no piano. Other sources reveal the wider impact of the war on the ‘home front’. Classes for Belgian refugees were arranged, while women working as domestic staff were given pay rises as they undertook traditionally male responsibilities, though only ‘for the duration of the war’. However, Will says it is the casualties for which he needs the public’s assistance. Will’s project commemorates each man on the anniversary of his death, the first beginning on 23rd September. All the fallen are also commemorated on the plaque outside the Dreadnought Building on the university’s Greenwich Campus.